For the passionate Tabletop Gamer, modelling is almost equally important as the actual playing. 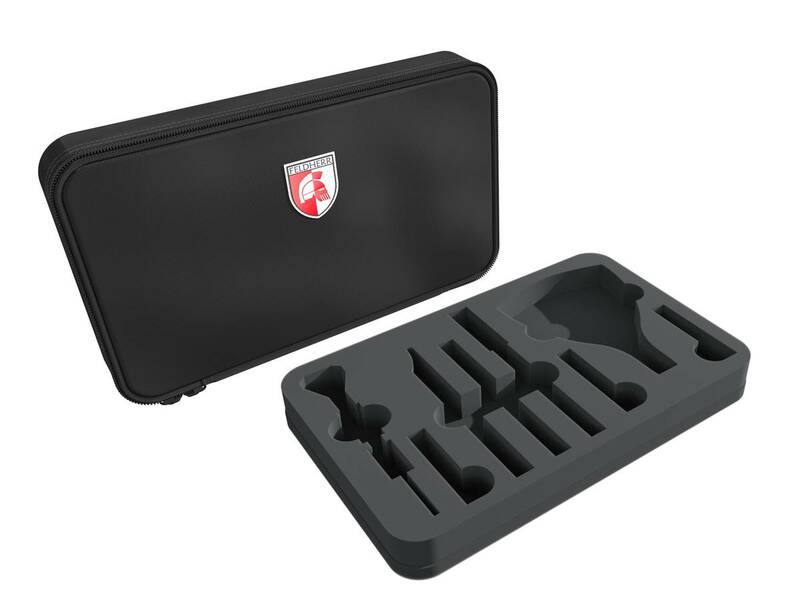 In order for you to always have the required tools at hand, we devised a practical storage and transport solution for your Citadel tools: The MINI MINUS bag with matching foam tray. Of course, the tray fits exactly into the practical MINI MINUS bag. The bag is made of particuarly durable fabric and ensures that the contents are optimally protected from external influences. The integrated magnets on flap and front allow a seamless and easy closing, so that nothing gets lost even during bumpy transport. 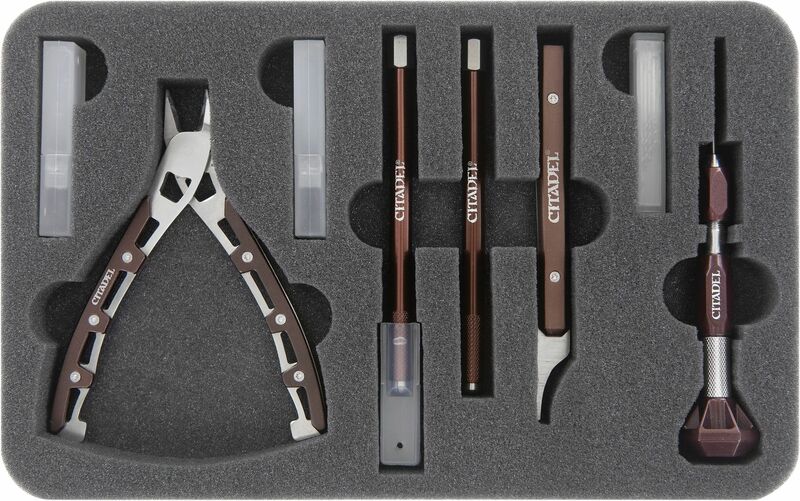 To ensure all-around protection of your tools, the Set includes a matching foam topper. The topper is simply placed on top of the tray to make sure nothing can fall out and tumble around in the bag.